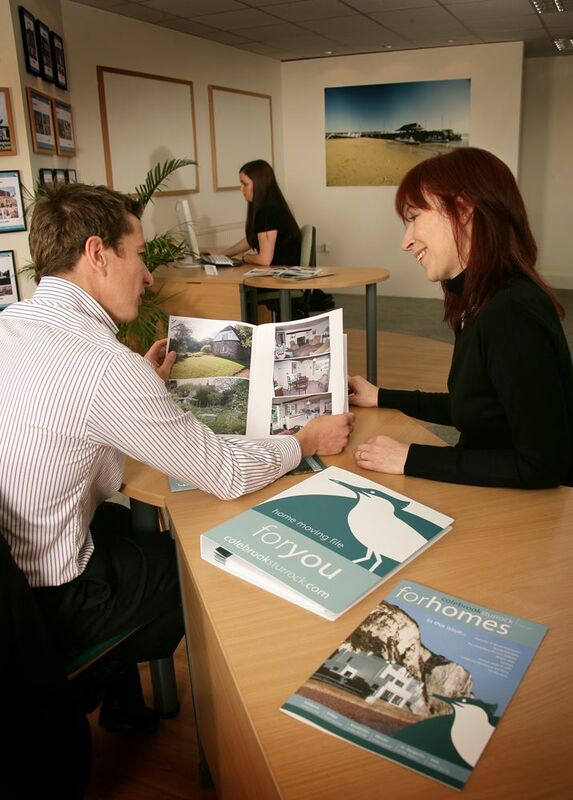 Colebrook Sturrock have been providing a professional lettings service in East Kent for 20 years. In this time, our team has developed a reputation for exceptional service and will assist you through every stage of the letting process. All tenants must go through the referencing process. A charge of £150.00 inc VAT per applicant will be made to cover our administration cost of preparing a tenancy agreement and costs of credit references. This is a non-refundable fee whether your tenancy is successful or not. We ask for two references, usually from your current employer (if you are self-employed, from your accountant) and from a previous landlord/ or agent. Should you be a homeowner will require evidence of this in the form of a mortgage statement or title deed. Applications are also assessed by applying for a credit reference. Your completed application form is processed confidentially, normally within two or three working days. Once we have the completed reference form, fee and proof of identity, we will process your application. Once the required references have been returned to us and are satisfactory, then we contact you to arrange the date you wish the tenancy to commence. It is at this point we require the Holding Fee of £250. This is non-refundable should you decide not to take the tenancy on the agreed date. However, if the tenancy begins as arranged, the £250 will become part of your first months rent. We recommend that tenants arrange to have their own contents insured. A deposit of six week's rent is payable in advance either by banker's draft, building society cheque or transferred directly into our account. All deposits are protected by The Dispute Service, of whom we are a member. The first month's rent should be paid with the deposit and as cleared funds before the commencement of the tenancy. Thereafter the rent is to be paid monthly in advance by standing order. In the case of joint tenancies we can only accept one standing order. At the end of the tenancy please ensure sufficient notice is given to your bank to enable the order to be cancelled by the end of the agreement. This is to avoid over-payment, a charge of £10.00 plus VAT will be made to cover costs for any necessary refunds. Normally the minimum term is six months with a two month notice period by a rent due date from the landlord and at least one months notice by a rent due date from the tenant. You can only leave the property at the end of the period stated in the lease (if you wish to leave when the lease is due to run out you must notify us in writing giving a minimum of one months notice prior to the end of that lease). If you vacate the property early and do not give a full months notice, you will be responsible for the rent payments for this period, the Council Tax and any utility charges. The Tenancy Agreement you sign is a legal document, it is between the owner of the property (The Landlord) and yourself (The Tenant). The initial term of the tenancy is usually six or twelve months, depending on your own wishes and those of the Landlord. You are usually given the option to renew your tenancy for a further six or twelve months and, where we are acting as managing agents, our Property Management department will write to you approximately two months prior to the end of your Tenancy Agreement in this regard. You should read the Tenancy Agreement carefully and ensure you understand it fully, if in doubt consult a solicitor. The Tenancy Agreement places legal obligations upon you. The Tenancy Agreement you sign will be an Assured Shorthold Tenancy, which means that you can stay in the property for the period of the Tenancy Agreement (provided you meet all the obligations of the Tenancy Agreement). If the Landlord wishes to end the tenancy you will be given two months notice to quit the premises. You can only leave the property at the end of the period stated in the Tenancy Agreement (if you wish to leave when the Tenancy Agreement is due to expire you must notify us in writing giving a minimum of one month's notice from your next rent due date). If you vacate the property early and do not give a full months notice YOU WILL BE RESPONSIBLE FOR THE RENT PAYMENTS FOR THIS PERIOD. Everybody living at the property over the age of eighteen must be named on the Tenancy Agreement. You cannot move anyone into the property unless you have informed us (in writing) and we have permission for you to do so from the Landlord. If not already paid, you must bring with you your first month's rent and deposit in cleared funds (i.e. a banker's draft or building society cheque). Please note that a personal cheque is not sufficient and you will not be able to move in at this time! On the day you move in to the property, we will meet you at the property where you will be required to sign the Tenancy Agreements and inventory. You will be given one copy of each for your safekeeping. We will also supply you with a copy of the gas safety certificate and the keys to the property. Tenants of managed properties will be given a Standing Order Mandate to complete and keys will not be handed over until this has been done. Once you have moved in to your property, any matters relating to your tenancy (i.e. repairs, payment of rent, renewal of contract etc) will be dealt with by our Lettings Department. In the case of Letting-Only tenancies (i.e. where we are not acting as managing agents), you will be given bank account details and contact details for your new Landlord. Any queries after you have moved in (i.e. repairs, rent payments etc) should be directed to your Landlord. Should you wish to make any changes to the property, you must inform us in writing (or in the case of Letting-Only Tenancies - your Landlord) and wait until permission is granted before any work commences. If you rent a property that is managed by Colebrook Sturrock, we have an obligation to conduct regular inspections of all tenanted accommodation. Inspections will be carried out on a periodic basis (approximately every 3 months) and are to ensure the property is not in need of repair and to ensure you are looking after the property. You will be given notification in writing by our Property Management department when an inspection is due to be conducted. If there is a problem with the property you are renting you must inform us immediately or if we are not managing the property, you should contact the Landlord direct (failure to do so may mean that you are held partially responsible should the delay result in added deterioration). Once we have been informed of a fault we will contact the Landlord and act upon their instructions. You must not instruct a contractor to undertake any work, if you do it will be at YOUR own expense, unless you are unable to contact either us or the Landlord and it is an emergency situation. You cannot have any pets unless we have permission from the Landlord in writing. You must consult us prior to obtaining a pet and submit a written request to have a pet stating age/type/breed. It is the Tenant's responsibility to maintain the garden (if any) in a neat & tidy condition (i.e. keep the grass cut regularly and weeding of flower-beds etc) unless stated otherwise in the tenancy agreement. Frost damage is a risk to all houses during the winter period due to possible pipe bursts and flooding. You are required to take reasonable precautions to prevent frost damage particularly if you are away from the property for anything other than a very short period. Such precautions might include leaving the heating on ( and turned down to a low setting) and opening the loft access hatch to allow warm air to circulate into the attic space. If you are away for a more extended period, then you can contact Colebrook Sturrock or your Landlord regarding the property. Failure to do carry out these precautions could make you liable for any damage caused as you will be in breach of your obligation to occupy the property in a “tenant like manner”. You may find that smoke detectors and or carbon monoxide detectors have been fitted in your property. Where this is the case, please ensure that you check all such devices on moving into the property and familiarise yourself with their operation (most smoke detectors have a test button to check batteries and that the unit is operating correctly) and report any problems to your Agent or Landlord. Where the property is alarmed using a security code, the tenant must not change the alarm code without obtaining prior written consent from either the Landlord or Colebrook Sturrock. Colebrook Sturrock need to hold alarm and similar security information for emergency, maintenance and inspection purposes. Fortunately, with modern building and repair standards, we expect few tenants to be troubled by household pests during their tenancy. An infestation of any kind be it ants, fungal attack, bedbugs, fleas or wasps makes a property unpleasant to live in and should be eradicated as soon as possible. Regular cleaning and vacuuming will help to prevent any such infestations taking hold and you are expected to take care of the property in this way and keep a watchful eye for unwelcome visitors as part of your tenancy obligations. During the tenancy, the tenant is responsible for keeping the property free of any pests and also for any damage that might occur as a result. You should inform the agent if you discover any pest infestation at the property. Gas Safety regulations apply to both Tenants and Landlords in rented properties. In order to comply with the regulations, it is necessary: • That brown or sooty build-up on any gas appliance, or gas escape should be reported immediately to Colebrook Sturrock or your Landlord AND your gas supplier. The number of the gas emergency service is 0800 111 999. • That ventilators installed in the premises for the correct operation of the gas appliances should not be blocked. • That safety checks be carried out every 12 months on any gas appliance in the property by a Gas Safe Register approved engineer. The tenant is required to allow entry with reasonable notice for this purpose. A copy of the gas safety record will be made available to tenants. A charge may be made for missed appointments. For safety reasons, tenants are requested to visually inspect all electrical appliances on a regular basis. In use, cables and flexes can become frayed and casings broken. You should contact Colebrook Sturrock or your Landlord as soon as possible should any defect be discovered or repair becomes necessary. Where electrical appliances are used outdoors for example an electrical mower, they should only be used when connected to an RCD (Residual Current Device) protected mains supply. RCD units are available from most hardware stores and should be checked before use. The tenant is responsible for keeping all electric lights in good working order and in particular to replace bulbs and florescent tubes when necessary. Any replaceable or disposable filters, vacuum bags or other consumable items in appliances and fittings should be replaces as reasonably required and at the end of the tenancy. If Colebrook Sturrock is managing the property, then quarterly inspections will be carried out. You will of course be informed, normally a week in advance, prior to these inspections. An administration charge may be made for any missed inspection or maintenance appointments. At the end of the tenancy, the tenant will be required to attend a check out process which will be arranged by the Landlord or his Agent. The check out process will comprise a full inspection of the property and contents and any items missing, damaged or otherwise in a different state to their condition at the start of the tenancy will be recorded. The tenancy agreement is a legal and binding contract for the set term that you have previously agreed and signed for. However, if due to unforeseen circumstances, you need to leave the property before the expiration of the tenancy, subject to the Landlord’s written consent, we would be willing under your written instructions to re-advertise the property for re-let. The costs incurred in arranging the re-letting would be borne by the outgoing tenant who will be responsible for the rent until it is re-let. Should it not be possible to re-let the property immediately, you would be responsible for all rental, gas, electricity, water, telephone and Council Tax payments until new tenants have taken up occupation of the property or until the original termination date of the agreement, whichever is sooner. If you fail to vacate the property on the date requested or agreed, or fails to meet the obligations of the letting agreement, then we reserve the right to make a charge to cover legal fees, losses and other costs to the landlord, agent or other parties. Please find details of our fees for tenants here.